Our simple point-and-click tagging toolkit lets you turn websites into spreadsheets in seconds. Directly from your Chrome browser, point-and-click the data element from the website you're veiwing or app just like you navigate the web. For the first time, you can extract data from website without learning or configuring complicated software tools. 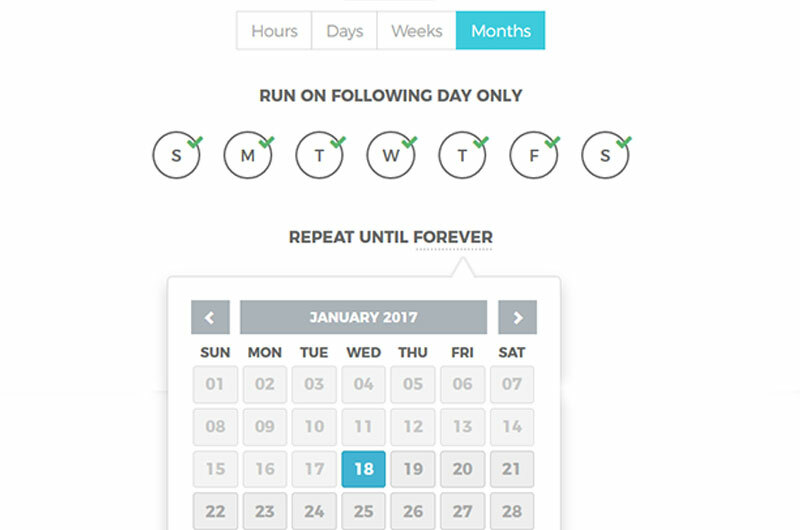 Pick a date and time, and schedule the crawling calendar to streamline your daily, weekly or monthly scraping tasks. Grepsr remembers to look for new and fresh data at the right time so you don't have to. Connect with the data storage or document management tools that you're already using. 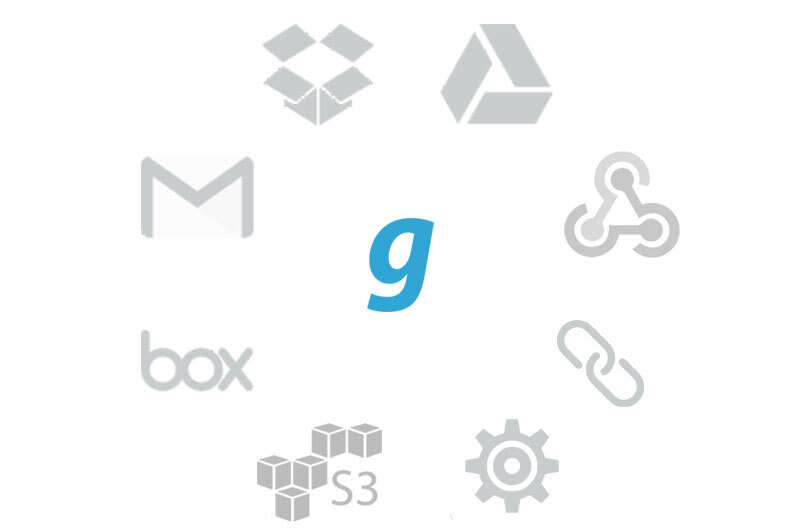 We integrate with popular apps such as Dropbox, Box, Google Drive, Amazon S3, even FTP & much more! Unlike other web scraping tools that just spits out data, Grepsr goes beyond by providing suite of easy-to-use workflow tools, support and integration. Making it easy and effortless to move and consume data. "It's very handy and smart app. I asked them about an error I keep getting and they fix it in just 5 min. Thank you guys!" and have full control over what data to get, set and display. Thanks to Grepsr's accuracy and rapid turn-around, what used to take us weeks to accomplish in-house, now takes only a few hours. I especially love the simplicity. No clutter, no unnecessary features. Just the way I like it. That is just great engineering! Grepsr realtime feels more comfortable, less overwhelming, and faster. The best part is their excellent account management! All I had to do was tell them (Grepsr) what I needed and off they go. It's as easy as that! I now have my very own personal data extractor at my fingertips. I've spent years in the search and data sector and overseen the development of proprietary data extraction and search platforms. The most cost-effective, accurate and rapid solution has clearly been Grepsr. Speed up the access to more, better data for your whole team.